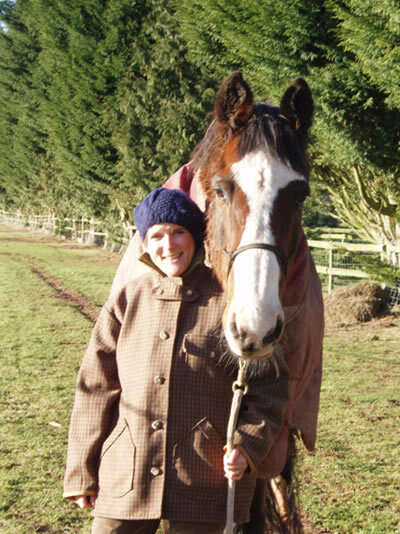 Just could not resist showing my lovely ’Keaton’ - although he does seem totally underwhelmed ! 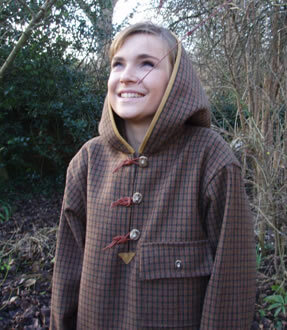 Do you know of many clothes that are entirely hand made, including buttons ? Do you know of any cloth where just 10- 15 yards is woven at one time ? Do you know of clothes that are designed for a lifetime’s use, and more ? I’m going on about clothes hand made for us by a co-operative of lovely people on the Island of Islay - Jeremy his wife Tink and Anne . 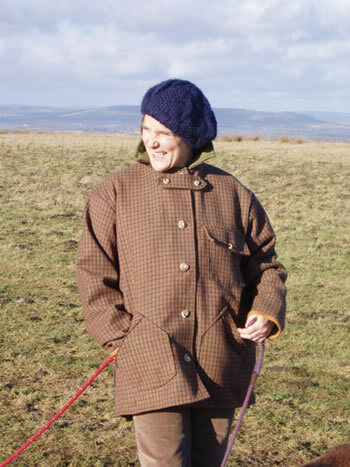 The tweed is hand loomed in short runs from the wool of the island’s sheep, the buttons are carved from stag’s antlers and the cuffs, hood and other detail are finished in soft wild goat chamois. 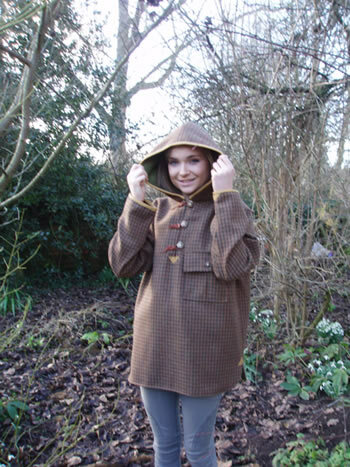 The hand crafted ’Wilderness’ range of clothes includes the Jacket ( that’s the fully lined one I’m wearing) the Smock, ( that’s the lined hood and body ’Hoody’ that Daisy would like) pocketed Gillets, plain Waistcoats and ’Over’ Shirts. These Islay clothes start from wool of the Island’s sheep - which is hand weaved into tweed that lasts a lifetime, add hand carved buttons, and put all together with the hand stitching of the folk of Islay. Could anything you wear be more natural ? Anything be naturally warmer ? Any clothes more environmentally friendly ? 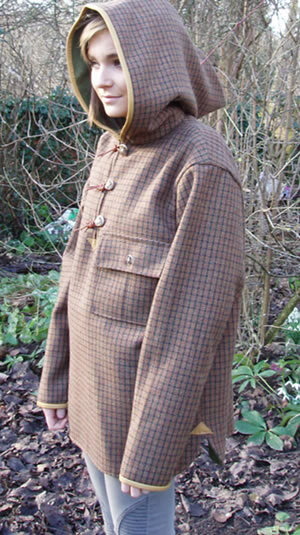 These hand made clothes come in 4 sizes, although I would recommend you size "up" if you want some room to move about. My jacket is the the medium size. Small 30 - 32" 34 - 36"
Medium 34- 36" 38- 40"
Larger 38 -42" 42- 44"
Large and Roomy 44- 46" 46 - 48"
We can also arrange made to measure, but that would be a lot more dosh ! 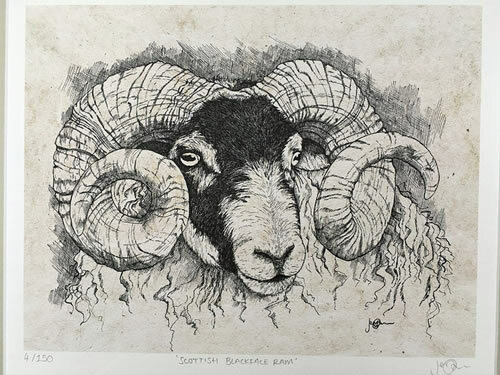 Please remember, its a long way from Islay , pronounced ’Eye- La’ ( as Mark twain said about the French, "Great spellers - can’t pronounce" ) so please be careful with sizes when ordering, and your order will be made especially for you. Any mistakes can take a while to sort out ! Delivery will normally take about three weeks - and I know it’s well worth the wait. These clothes will serve you well for a long, long time - and then become treasured ’Hand me Downs’. There simply are no other outdoor clothes quite like them ! Ladies and Men’s are the same price, as the real cost is in the hand crafting. The price is an investment in many, many winters to come.